You can’t simply run the installer from the Server Core UI, because Server Core doesn’t have all the bits required for the Connector wizard to work. 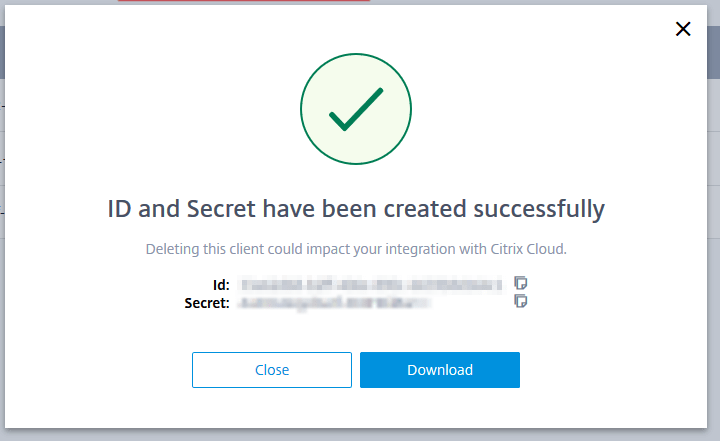 So to work around this we’ll get an API Access key from Citrix Cloud admin UI and use that to install the connector silently on the command line. It’s assumed you have installed Server Core 2016 and joined it to the domain. I believe you’ll need an API access secure client entry for each controller you’re setting up. Happy to be corrected on this, but it feels like that’s the best way to go about this. 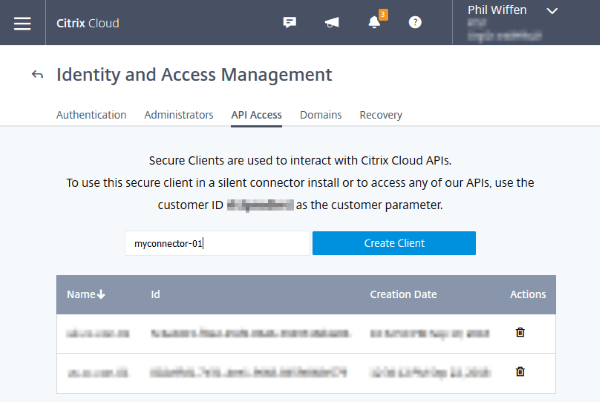 The API access key is tied to the Citrix Administrator. If that Adminstrator account is later revoked access or permissions changed, the API keys will stop working. More on this here. As of right now (September 2018) installing the Cloud Connector on Server Core is not supported – however, the team is aware of appetite for this, and have a workstream open to do some testing with all the components. Enter a descriptive name of your Server Core VM in the “Name your Secure Client box” and click Create Client – I typically use the VM hostname so it’s easy to track which controllers are using which credentials. If you want to add more contextual info, do so. The field isn’t tied or reliant on the VM name at all. Store the ID and the Secret given to you in a secure place. You’ll never be given the Secret again, so I’d recommend storing it securely. You’re told this just before you make the API access credentials, when entering a secure client name. The ID of the Resource Location you’re installing the connector into. This is the UUID of the Resource Location, not its friendly name. You’ll find it in the Resource Locations – click on “ID” to view it. Go back to the Citrix Cloud UI and check your Resource Locations to verify if the connector is being setup. It can take a few minutes to complete. It looks like this isn’t documented (not mentioned if you use /?) but it does work. While this may seem to install/work, the Cloud Connector is currently not supported on Server Core per https://docs.citrix.com/en-us/citrix-cloud/citrix-cloud-resource-locations/citrix-cloud-connector/technical-details.html. Yes, indeed. I added a note to this effect today to this post, and had correspondence with the documention team who added the notice to the Citrix site today. As noted in the post update above, Citrix (including our team) are working to qualify Core for support for Cloud Connector, but there is currently no expected due date.